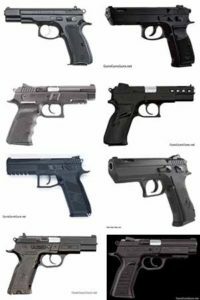 Excerpts from and links to all our info pages for CZ 75-style handguns. Rating: 4.5/10. From 40 votes. Rating: 6.5/10. From 37 votes. Rating: 6.2/10. From 55 votes. Rating: 7.0/10. From 28 votes.